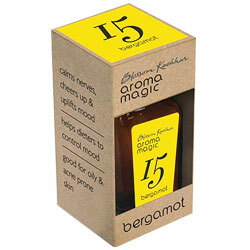 Aromamagic Bergamot Oil for Calms Nerves, Cheers up & Uplifts mood, Dieters to control mood. Aromatherapy Essential Oils Online. Calms Nerves, cheers up and uplifts mood. Helps dieters to control mood.